A Cologne detective asks Jan Fabel for his help in tracking down the Carnival Cannibal, a terrifying serial killer who kills at the start of the world-famous annual Carnival. Unknown to anyone, Fabel's deputy, Maria Klee, also heads for Cologne to hunt down a different, even more dangerous killer - one with whom she has a score to settle. Taras Buslenko, a Ukrainian special-forces commander, prepares his undercover unit for a "black" operation into Cologne. Their aim: to end the rule of an ex-pat Ukrainian crime-boss. Three paths converging on Cologne at Carnival at a time when the world is traditionally turned on its head. Fabel once more faces his greatest enemy: the true Master of the Carnival. Dark and strange. Full of twists and turns. I loved Brother Grimm so I had to try this one. It is not quite as gripping but still a great thriller with some disturbibg twists and turns. Once again Craig Russell does not fail to dissapoint. Following on from Blood Eagle it was good to get involved in previous story lines with the addition of a new case. Fast and Pacey. As usual Sean Barrats Naration second to none. Another great story, nice twist. Over the series we have heard Jan getting into and out of so many tricky situations. This is no exception a multi layered plot with many twists and turns keeps you guessing until the end. As for the narrator, his voice has become a major part of the character of such writing. well done to all involved. 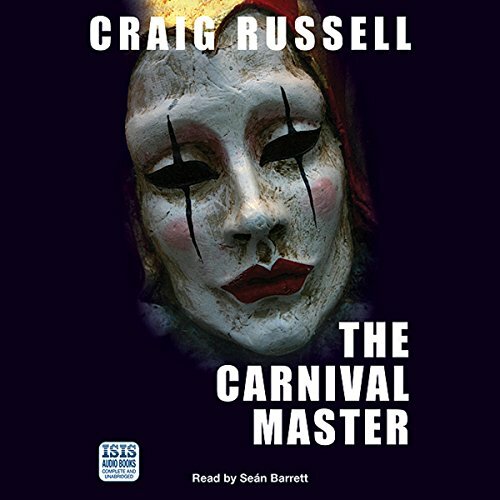 Would you listen to The Carnival Master again? Why? No, why would you listen to a book again when you know Whodunnit? I am well and truly hooked on the Fabel series. Another fab book from Craig Russell. More twists and turns and really enjoying getting to know the characters. Already on the next book in the series which I am also really getting into. Thoroughly recommended series if you enjoyed the Wallander books by Henning Mankell.